In 1986, “Top Gun” hit the theaters and IBM became one of the oldest currently registered dot.com domain names. There wasn’t much speed back then, so website visitors were used to waiting…and waiting…and waiting. Well, that kind of patience is long gone with today’s internet user. In the ever-evolving digital world, visitors have a non-negotiable “need for speed” when they come to your website. You can’t offer a great user experience if your site is slow. You’re guaranteed to lose visitors and miss out on critical conversions if your page load times are too long. Page Speed and overall site performance IS a critical component of your Search Engine Optimization – SEO initiatives. Not only is speed essential to the user experience, it’s a very important ranking factor. 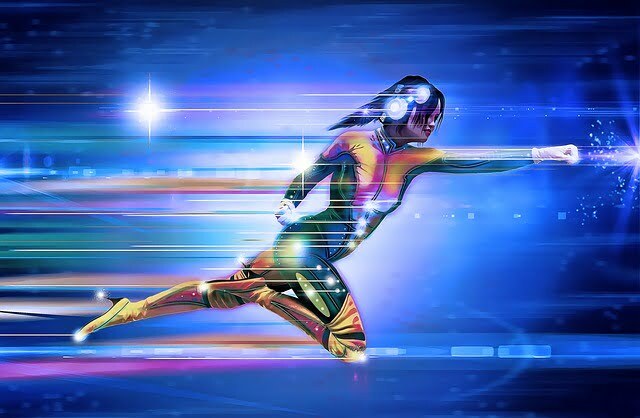 Page speed became a search engine ranking factor in 2010, and in June 2016, Google reported it will be updating the page speed ranking factor to specifically look at the page speed of your mobile pages. With mobile search accounting for more than half of Google’s searches, mobile page speed must also be optimized. Website speed affects user experience, indexation, ranking, and traffic. Increase bounce rates and decrease conversion rates. Decrease number of pages search engines can index. Less page indexation can negatively impact your site ranking. In a nutshell, your web site visitors will not wait for your website to load. If it takes too long they will simply leave. This also creates an unenessary load on the Internet in general, which is why Google may penalize slow-loading sites. Google states in their PageSpeed Tools Insights that “Server response time measures how long it takes to load the necessary HTML to begin rendering the page from your server”. Google recommends a server response time of under 200ms. Assuming that you have hired a Professional Web Design firm and that your website is coded properly, the biggest factor that dramatically affects Page Load Speed and Server Response Time is the quality of your web host and the underlying Internet backbone connecting your website to the world. Inadequate CPU and memory resources, slow routing, inadequate security measures that increase the load on your server, are just a few factors that make a huge difference in your website’s overall performance. At COMMbits we provide state-of-the-art Business Web Hosting to ensure our clients’ websites have enough power and resources to meet demand and pass performance requirements. There is a variety of Site Speed Testing tools. Each one uses different algorithms and methodologies to test your site’s speed. In your quest for metrics and insights, we recommend you use multiple tools to obtain a more complete picture of how your website is performing. When “not perfect” is “good enough”. You are following the recommendations for speed improvement from the various Speed Test tools you are using, only to discover that some things start breaking on your site. In many cases, “rewiring” portions of your website may not give you high enough performance boost to justify the extra cost and redesign efforts. At some point you must decide when “not perfect” is “good enough”. GTMetrix gave us a PageSpeed Score of “A, 97%”) and YSlow Score of “A, 93%) and a load time of 2.3 seconds. Pingdom (New York test-side) gave us a Performance Grade of “A, 97%) and load time of 1.25 seconds. Google PageSpeed Insights gave us 68/100 (Mobile) with 99/100 user experience and 87/100 (Desktop). GTMetrix: PageSpeed Score of “A, 98%”) and YSlow Score of “A, 92%) and a load time of 4.5 seconds. Pingdom (New York test-side): Performance Grade of “A, 93%) and load time of 551 ms.
Discrepancies between the different PageSpeed measuring tools are present. Deciding when “not perfect” is “good enough” is both an art and a science. Note: Depending on the site and its traffic during your tests, you may have to repeat your tests after a couple of minutes. Use proper responsive design methodologies: Hiring an experienced Toronto web design firm pays off as this is one of the things they will take care for you. Improve server response time: Hire an experienced Business Web Hosting firm to take care of business for you. Leverage browser caching: Static assets that don’t update frequently should be cached longer in a visitor’s browser. On a WordPress site, W3 Total Cache offers some of the best options available anywhere in one of the most complete packages (technical expertise required for setup and configuration). Comet Cache is another option adopted by many webmasters because of its simplicity. Optimize images: This is a BIG one! In collaboration with your website maintenance and support staff, make sure you establish policies that ensure all images uploaded to your site are properly optimized for the web. Keep intruders away from your web server with the use of a properly-configured Firewall: If you have to, block whole countries. Traffic from intruders creates an unnecessary burden on your web server resources and slows down your site. Keep your plugin use to a minimum: Utilize only what is absolutely necessary. On a WordPress site work with your webmaster to decide who has admin access rights, which offers the ability to install plugins. Establish a stringent policy as to when and which plugins can be installed. Many plugins are badly-written, unsupported and create more problems than the ones they are supposed to solve. Keep your font uses to a minimum and be consistent: If you absolutely have to use many different Google fonts, consider using a google webfont optimizer plugin that optimizes the way Google Fonts are loaded on your website. Choose a WordPress Theme from a renowned producer, one that offers a lighter footprint, and is supported with frequent updates: Theme bugs can hijack your server resources in a manner that is very difficult to track and fix. Google PageSpeed Insights Rules is a list of things to also have in mind. We would love to hear your comments below with your own experiences during page speed optimization projects for your client websites or your own websites! 22 Tips To Speed Up WordPress Site Performance. Web Design for Toronto and beyond. We will redesign and design-from-scratch your web presence with high performance in mind. Business Web Hosting to ensure that your website sits on solid ground, is secure and has enough resources at all times to support your visitors/clients. Digital Marketing and SEO Services. Combine our web design service with our Digital Branding services to tie all your marketing efforts effectively. Web maintenance and Support, Webmaster contracts. We become part of your team ensuring policies & procedures are in place on a variety of SEO and website performance issues such as admin access rights, content maintenance, website changes, upload policies, and much more. In the ever-evolving digital world, visitors have a non-negotiable "need for speed" when they come to your website. Here is practical advise on how to improve your site's Page Speed.